Sign up for free and just shop with Hastings Direct Car Insurance as normal. 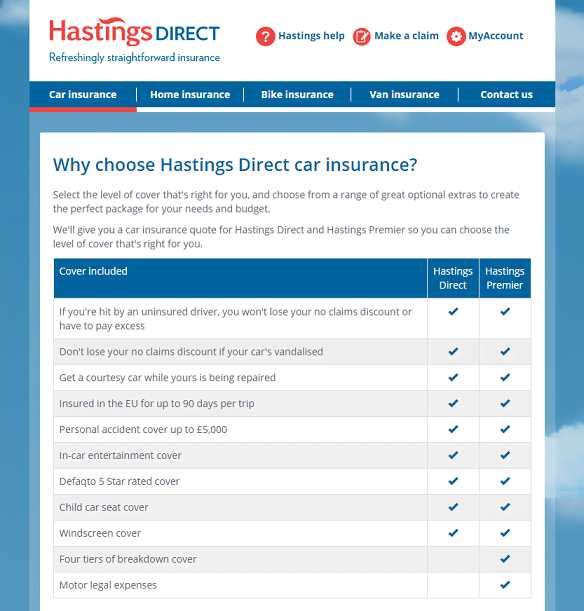 Our members earned £20,000+ at Hastings Direct Car Insurance in the past month. If the car is already insured with Hastings Direct and the existing policy is up for renewal. Cashback will not be paid if you cancel your Hastings Direct policy or your policy is voided by Hastings Direct before the policy has been live for 90 days. Did not meet the terms & conditions set. Any monthly direct debit payments have been missed. Your cookies must be cleared before clicking through and starting your quote. You must click through to the Hastings Direct website, using the links on this page. You must start a new quote – don’t retrieve an existing one. Hastings Direct Car Insurance cashback can be earned simply by clicking through to the merchant and shopping as normal. Hastings Direct cashback is available through TopCashback on genuine, tracked transactions completed wholly online from the quote obtained via this cashback site, or over the phone by providing your quote reference obtained online via this cashback site. 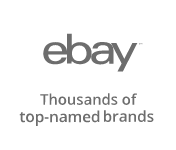 If you earn cashback through this merchant, payouts cannot be made by Adidas e-Gift card, Adidas e-Gift card, Adventure Card by Geronigo e-Giftcard, Adventure Card by Geronigo e-Giftcard, All Bar One e-Gift Card, All Bar One e-Gift Card, Amazon.co.uk e-Gift Card, Arcadia e-Gift Card, Arcadia e-Gift Card, Ask Italian e-Gift Card, Ask Italian e-Gift Card, Bonmarché e-Gift Card, Bonmarché e-Gift Card, British Airways Executive Club, Caffe Nero e-Gift Card, Caffe Nero e-Gift Card, Carluccios e-Gift Card, Carluccios e-Gift Card, Chef & Brewer Pub e-Gift Card, Chef & Brewer Pub e-Gift Card, Costa e-Gift Card, Costa e-Gift Card, Crown Carveries e-Gift Card, Crown Carveries e-Gift Card, Currys PC World e-Giftcard, Currys PC World e-Giftcard, Ember Inns e-Gift Card, Ember Inns e-Gift Card, FatFace e-Gift Card, FatFace e-Gift Card, Fayre & Square Pub e-Gift Card, Fayre & Square Pub e-Gift Card, Flaming Grill Pub e-Gift Card, Flaming Grill Pub e-Gift Card, Footlocker e-Gift Card, Footlocker e-Gift Card, Gap e-Gift Card, Gap e-Gift Card, Google Play e-Gift card, Google Play e-Gift card, Greene King Pubs e-Gift Card, Greene King Pubs e-Gift Card, Halfords e-Gift Card, Harvester Pubs e-Gift Card, Harvester Pubs e-Gift Card, Hungry Horse Pub e-Gift Card, Hungry Horse Pub e-Gift Card, Innkeeper's Lodge e-Gift Card, Innkeeper's Lodge e-Gift Card, intu e-Gift Card, intu e-Gift Card, JoJo Maman Bébé e-Gift Card, JoJo Maman Bébé e-Gift Card, Love2Shop, Love2Shop e-Giftcard, Love2Shop e-Giftcard, M&S e-Gift Card, Masterchef e-Giftcard, Masterchef e-Giftcard, Miller & Carter Steakhouse e-Gift Card, Miller & Carter Steakhouse e-Gift Card, Mococo e-Gift Card, Mococo e-Gift Card, Nicholson's e-Gift Card, Nicholson's e-Gift Card, Not On The Highstreet e-Gift Card, Not On The Highstreet e-Gift Card, NOW TV Entertainment Pass, NOW TV Entertainment Pass, NOW TV Kids Pass, NOW TV Kids Pass, NOW TV Sky Cinema Pass, NOW TV Sky Cinema Pass, NOW TV Sky Sports Pass, NOW TV Sky Sports Pass, O’Neill’s e-Gift Card, O’Neill’s e-Gift Card, PayPal, Pizza Express e-Gift Card, Pizza Hut e-Gift Card, Pizza Hut e-Gift Card, Primark e-Gift card, Primark e-Gift card, Reward Wallet, Starbucks e-Gift Card, Starbucks e-Gift Card, Stonehouse e-Giftcard, Stonehouse e-Giftcard, Tesco e-Gift Card, Tesco e-Gift Card, The Body Shop e-Gift Card, The Body Shop e-Gift Card, The Dining Out Card e-Gift card, The Dining Out Card e-Gift card, The Great British Pub e-Gift card, The Great British Pub e-Gift card, The Restaurant Card e-Gift Card, The Restaurant Card e-Gift Card, Thomas Cook e-Gift card, Thomas Cook e-Gift card, Ticketmaster e-Gift Card, Toby Carvery e-Gift Card, Toby Carvery e-Gift Card, Uber Eats e-Gift Card, Uber Eats e-Gift Card, Uber Rides e-Gift Card, Uber Rides e-Gift Card, Vintage Inns e-Gift Card, Vintage Inns e-Gift Card, Virgin Experience Days e-Gift Card, Virgin Experience Days e-Gift Card, Virtual Mastercard® Prepaid Card, Virtual Mastercard® Prepaid Card, Xbox e-Giftcard, Xbox e-Giftcard, Xbox Live Gold Subscription e-Giftcard, Xbox Live Gold Subscription e-Giftcard, Zizzi e-Gift Card, Zizzi e-Gift Card. Any claims made relating to tracked purchases within this validation period will remain on hold until the validation period has passed. We’ll validate your policy at the beginning of the fourth month after its start date, within a 10 day window. Providing all conditions are met, we’ll pay your cashback 60 days after that. Before making your purchase it’s important that you make sure the policy you’re purchasing meets your insurance needs. On average, your cashback will be paid into your TopCashback account 180 days after the policy start date. If after 180 days you haven’t received confirmation that a payment is on its way, please inform TopCashback. You’re responsible for making sure the policy you buy meets your insurance needs. Once you’ve completed the quote, you’ll get a quote reference which you can use to complete the purchase online or by phone. You can pay using a card or by direct debit – but not by cash or cheque. If you enter your MOT renewal date when you fill in the quote form, we’ll pass this information to Halfords Autocentre who will send you a half price MOT voucher within 40 days. Finding a high standard of cover for a great price need no longer be a battle thanks to Hastings' Defaqto five-star rated car insurance. They will compare prices from some of the leading insurers in the UK to get you the best deal, while just for getting a quote, you will receive a half-price MOT voucher for Halfords Autocentres. Choose comprehensive, third party fire and theft or third party only cover and benefit from a 24/7 claims helpline, 90 days of EU cover and protection for things like satellite navigation equipment. You can opt to pay monthly, while you can also personalise your cover with optional extras such as breakdown cover, legal protection, personal accident cover and a protected no claims discount. If you have more than one vehicle in your household, you can save time and money by opting for their multi-car insurance, while if you choose Hastings Premier car insurance, you will benefit from a choice of four tiers of breakdown cover and motor legal expenses. Get a car insurance quote today and see how much you could save. You can insure two cars with Hastings Direct and save money with a multi-car insurance policy, which will insure both drivers in a single household, whether you are related or not. For new Hastings Direct customers, discounts will be applied to both policies, while existing customers will see their multi-car discount of up to 10% applied to their second car policy before the existing cover is discounted at its next renewal date. There is no need to worry if the renewal date for the second car is still some way away as they the multi-car insurance quote will be guaranteed for up to six months. 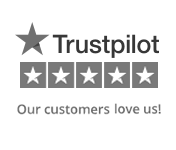 You will also benefit from features like windscreen and windows cover, a no claims discount up to 65%, unlimited cover for audio equipment fitted by the manufacturer, as long as it was part of your car's original specification, and an uninsured driver and vandalism promise with comprehensive policies. You can add a range of optional extras to your car insurance policy. Select breakdown cover and you can choose one of four comprehensive options to suit your needs and budget. Select either roadside recovery, UK recovery, home service or European cover and, if your vehicle has broken down and cannot be driven, you will be assisted based on the level of cover chosen. If your car keys are stolen, or you lose them, their key cover will protect you up to £1,500. You will also be covered if you lock your keys in your car or if they break in the lock and you cannot get into your car. Take out motor legal expenses cover, meanwhile, and enjoy peace of mind knowing that should you have an accident, you will be protected against the cost of any possible legal action. If you are involved in an accident which was the fault of the other driver and results in your car being badly damaged, should you need to use taxis or a hire car while your vehicle is being repaired, legal expenses cover will recover those costs from the driver at fault and their insurance provider. As well as travel expenses, you will also be able to recover any loss of earnings suffered as a result of the accident and any out of pocket or medical expenses if you have legal protection. Personal accident cover is a standard feature of any comprehensive Hastings Direct or Hastings Premier policy, but it is limited to £5,000. As it offers financial compensation for a range of injuries suffered by you or others, you may want to take out enhanced cover, which will provide you and your passengers with a greater level of protection in the event of an accident. Substitute vehicle cover will get you back on the road for up to 21 days should you be at fault for an accident which results in a total loss or an unrecovered vehicle anywhere in the UK. This represents enhanced cover as, with a standard policy, they will provide you with a courtesy car, subject to availability, while your car is being repaired following an accident for which you were not to blame. If you are a young driver who is safe behind the wheel, you could benefit from great savings with Hastings Direct SmartMiles. When it comes that time to renew your policy, if you have demonstrated that you are a good driver, you could make savings on top of your no claims discount, while you can access your personalised online dashboard, which is full of handy tips, anytime and monitor your driver rating. SmartMiles is right for you if you are aged 17 or over, will drive less than 15,000 miles in the next year, mainly drive between 5am and 10pm and are happy for their approved installers to fit a SmartMiles box in your car. Voted Car Insurance Provider of the Year in Moneyfacts Consumer Awards 2018 – based on customer feedback and independent expert analysis. Our clear and transparent approach has helped us win awards year after year. Best of all, we've made it our business to build great value and flexibility into all our products. So you can choose the cover that's just right for you. Hastings Essential – The cover you need, without the extras you don't. Hastings Direct – Defaqto 5 Star rated insurance that goes the extra mile. Hastings Premier – Defaqto 5 Star rated insurance with breakdown cover included.